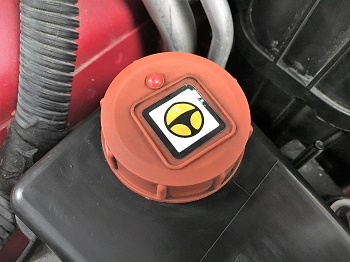 The engine oil level should be checked at the same frequency as the fuel tank is refilled. The car should be on a level surface with the engine off and the engine at operating temperature. Remove the dipstick, clean and re-insert. Check the indicated level and top-up if required. 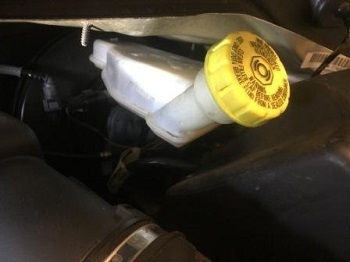 Remove the cap and add engine oil only if required. Do not overfill and always ensure that the correct specification of oil is used. The specification requirements can usually be found in the owner's manual. 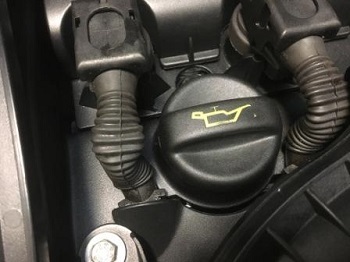 Try not to spill the oil and wipe any spillages away as any spilt oil may start to burn and produce unpleasant smells when the engine is hot. 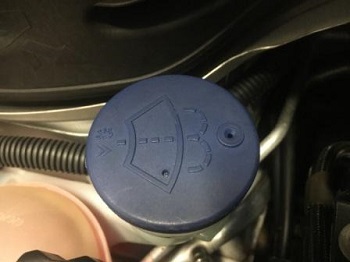 Check the coolant level with the engine cold. The level should be between the minimum and maximum marks. Only add the correct type of anti-freeze mixed with fresh water or use a pre-mixed variety. Do not mix red anti freeze with blue, yellow or green anti freeze as this can cause the fluid to gel. Use a quality screenwah additive mixed with fresh water or a pre mixed variety. A stronger solution will be required in freezing conditions. NEVER use any chemicals other than those that are recommended for screenwash such as coolant anti freeze or methylated spirits as wiper blade damage may result. The fluid should be between the minimum and maximum marks. ONLY the correct type of hydraulic fluid should be used. The level should never reach minimum under normal operation - if it does, visit a garage for system checks as soon as possible as there could be a leak. Check for correct pressure, cuts or bulges (especially on the sidewalls) and irregular wear. The pressure should always be checked with a cold tyre (not driven for an hour or so). 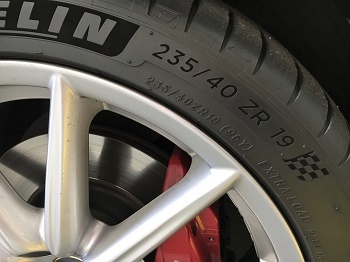 The tread depth should be at least 1.6mm across the central 3/4 of the tyre width. We recommend tyre replacement when worn to 2.5mm. The front and rear lamps should be checked. Always remember to ensure that the bulbs are fitted correctly. 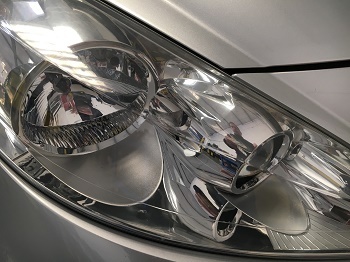 Notable fitting errors are with twin filament tail/brake lamp bulbs where they are inserted 180 degrees out which results in a bright tail lamp and an invisible brake lamp. 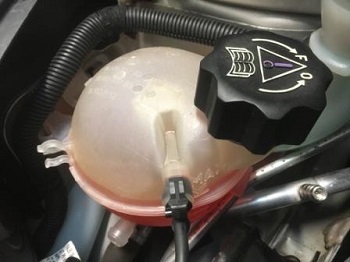 The fluid should be at the correct level indicated on the side of the reservoir or a dipstick attached to the cap. Use ONLY the correct hydraulic fluid and NEVER brake system hydraulic fluid. 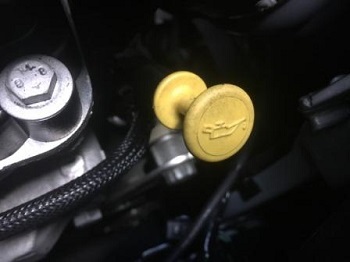 A loss of fluid indicates a fault and the vehicle should visit a garage.